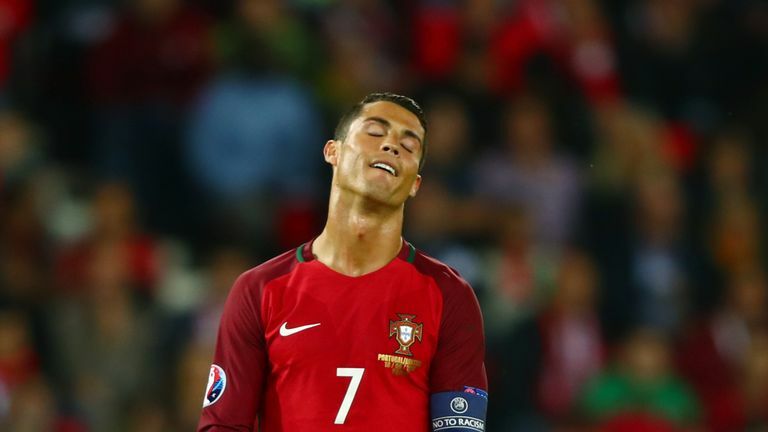 What’s wrong with Portugal’s Cristiano Ronaldo? Goalless, frustrated, angry – the mood of Cristiano Ronaldo has matched the weather so far here in Paris; the odd sliver of sunshine, but lots of rain. On Saturday, the night of his record 128th appearance for his country – passing the tally of Luis Figo – the Real Madrid forward failed to break down Austria,with a missed second-half penalty capping his misery. The captain had 10 shots at goal in all against the Austrians, with only three of them on target. That brought Ronaldo up to 20 goal attempts so far this tournament – which is more than either of their group rivals Hungary (18) or Iceland (12) have managed in their two games to date. Portugal are third in Group F and in danger of exiting the tournament before facing Hungary in Lyon on Wednesday – but will they be able to rely on Ronaldo to get them through? Has he changed his game? Given the number of occasions on which Ronaldo has simply taken Portugal matches by the scruff of the neck – such as when he hit a brilliant hat-trick in the second leg of the World Cup qualifying play-off in Sweden in November 2013 – it’s understandable that some wonder if he’s on the decline. That seems an enormous stretch of the imagination. Despite having turned 31 in February, Ronaldo was as potent as ever last season, hitting 51 goals for Madrid in La Liga and Champions League combined. What we are seeing, however, is a clear evolution of his game. But the numbers chart his move into more of a predator in the past few years; increasingly since the knee problem that so badly restricted him at the 2014 World Cup. In the two seasons since, Ronaldo has scored fewer goals from outside the box than in three of the four campaigns previous to that. He hit five La Liga goals from outside the area in both 2014-15 and 2015-16, but scored six from outside the area in 2013-14 despite playing fewer games than in either of the two subsequent seasons. Euro 2016 is becoming known for its last-gasp goals so it was perhaps predictable there would be some late drama as the group stage came to a conclusion. The army of Republic fans certainly never gave up hope, although it had seemed their side had, again, run out of ideas. After managing only one shot on target in their first two group games – Hoolahan’s goal against Sweden – O’Neill understandably went for a more ambitious approach on an all-or-nothing night for his side. But with Jon Walters unfit and veteran striker Robbie Keane only having the legs for cameo appearances these days, the only way he could bolster his attack was by calling on Ipswich striker Daryl Murphy, who is at times prolific in the Championship but has never scored in 20 games for his country. Yet the Republic did look more dangerous, particularly in the first half when Murphy saw a header tipped over and James McClean could, and probably should, have had a penalty when Federico Bernardeschi barged to the ground inside the box. After the break, Italy had looked far more in control until the final few minutes. Hoolahan wasted a golden opportunity when he was gifted the ball on the edge of the box, and it looked like the Republic’s last chance in France had come and gone – until Brady proved otherwise. 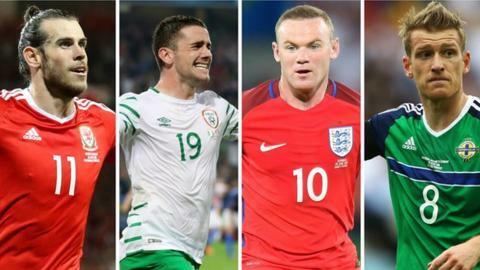 Wales will play Northern Ireland in the last 16 of Euro 2016, while England take on Iceland and the Republic of Ireland face France. The Republic were minutes from going out but finished third in Group E with a late 1-0 win over Italy and progress. Wales, who topped Group B, play Michael O’Neill’s Northern Ireland in Paris on Saturday (17:00 BST) live on BBC One. England, who were runners-up behind Wales, play surprise Group F runners-up Iceland in Nice on Monday (20:00 BST).